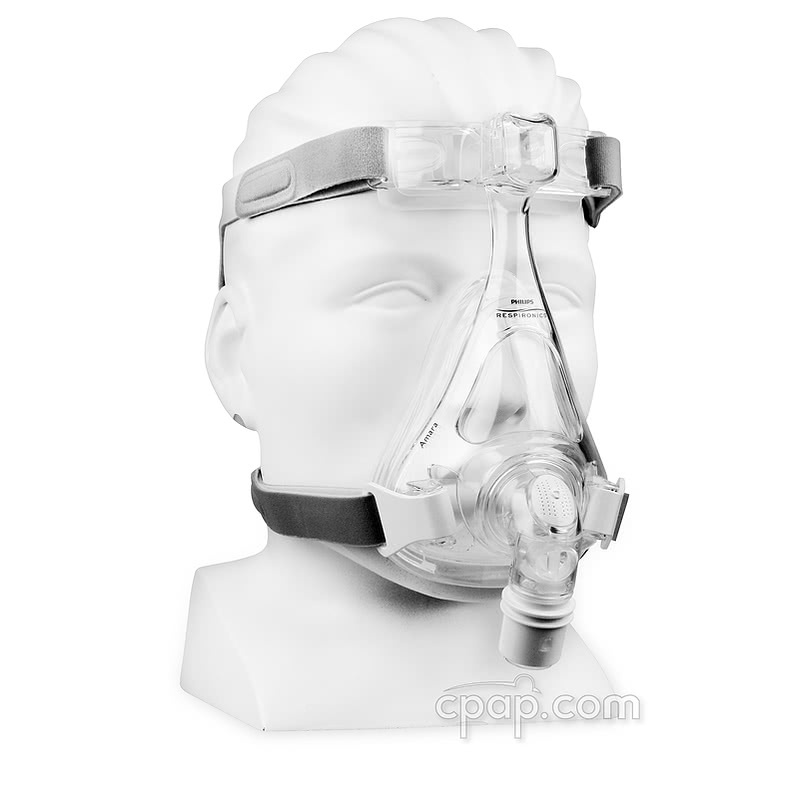 Newer Model Available: Amara Full Face CPAP Mask with Headgear. 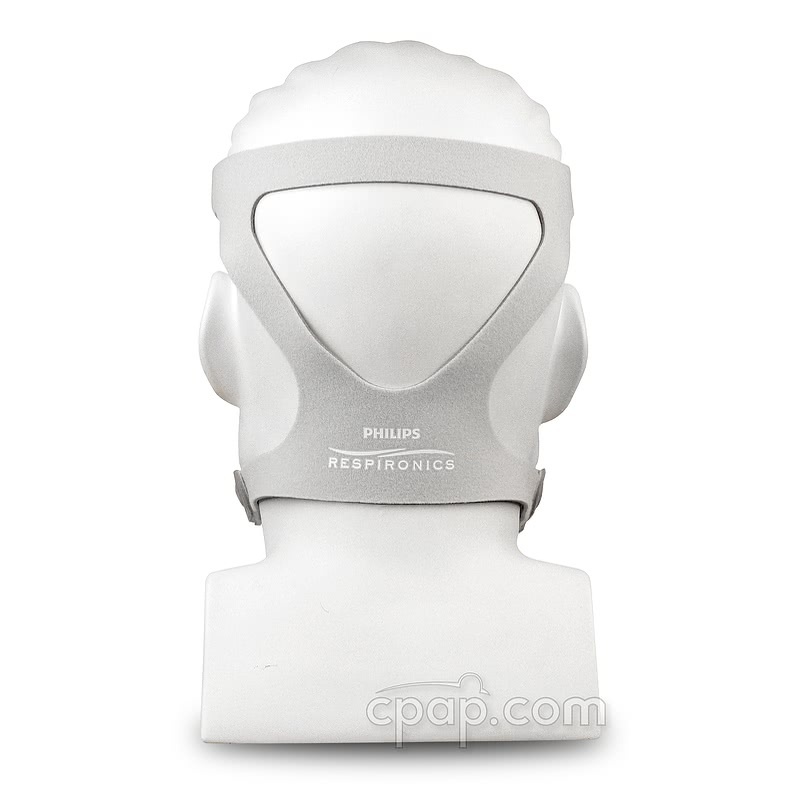 The Amara Full Face Mask by Philips Respironics is smaller and lighter than other traditional full face masks. With a design focused on ease of use, the cushion can be quickly snapped into place with one simple click after cleaning. FREE 30 Day Return Policy for this mask. Try the Amara risk free! The Amara Full Face Mask was developed based on feedback from the sleep community, addressing common concerns with cleaning, weight, and assembly. The mask offers four sizes petite, small, medium, and large. At the time of ordering select the cushion size and, if offered, either the Reduced Size frame and headgear or the original size frame and headgear. 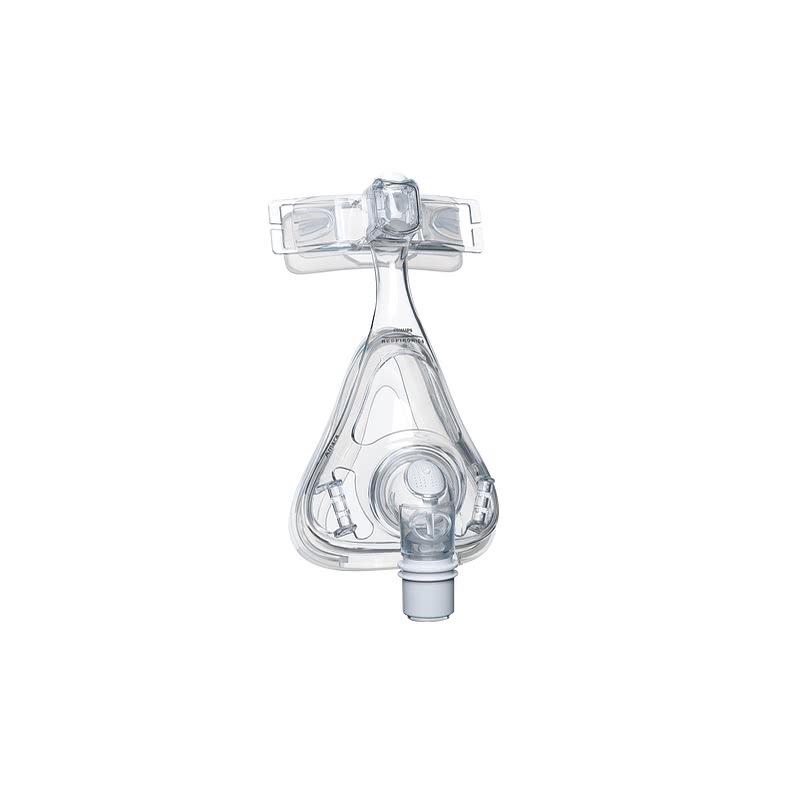 The simplified design of the Amara full face mask makes it lighter than other leading full face masks. There is no cushion clip to manage, just snap the cushion in place with one click. The reduced weight and smaller overall design eliminates pressure to the face and reduces the dragging effect on headgear. 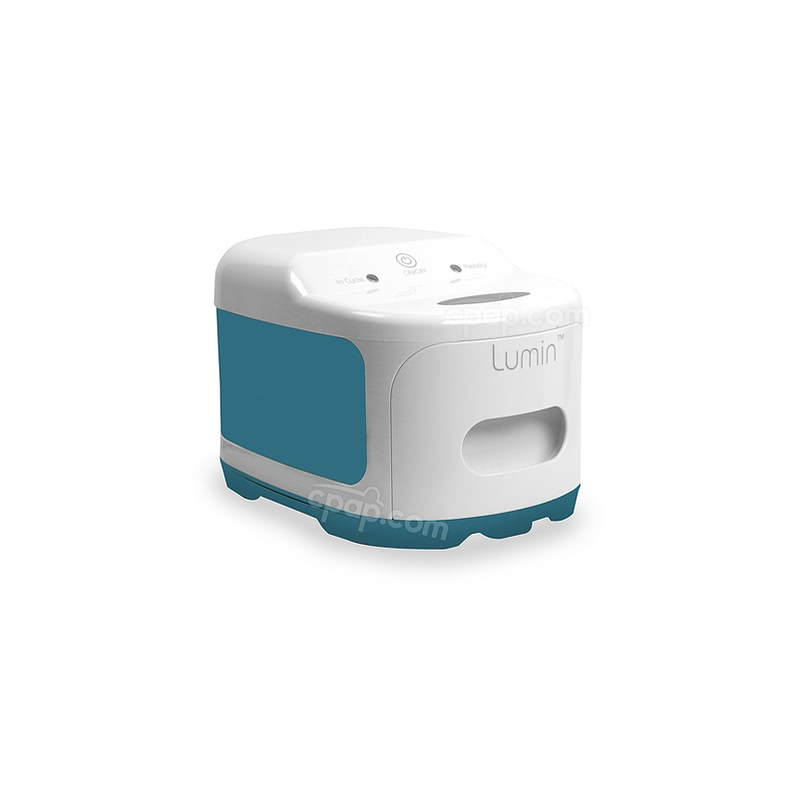 The Amara is designed to be simple to use and maintain. The cushion comes off easily for cleaning and the unique one click design allows it to snap back onto the frame quickly. With fewer components than many other masks in the category there are no small parts to lose. The fine-glide forehead adjuster changes the depth of the forehead pad by small increments allowing for fine tuning of the fit with one hand. The forehead pad balances the support over the width of the pad for stability. 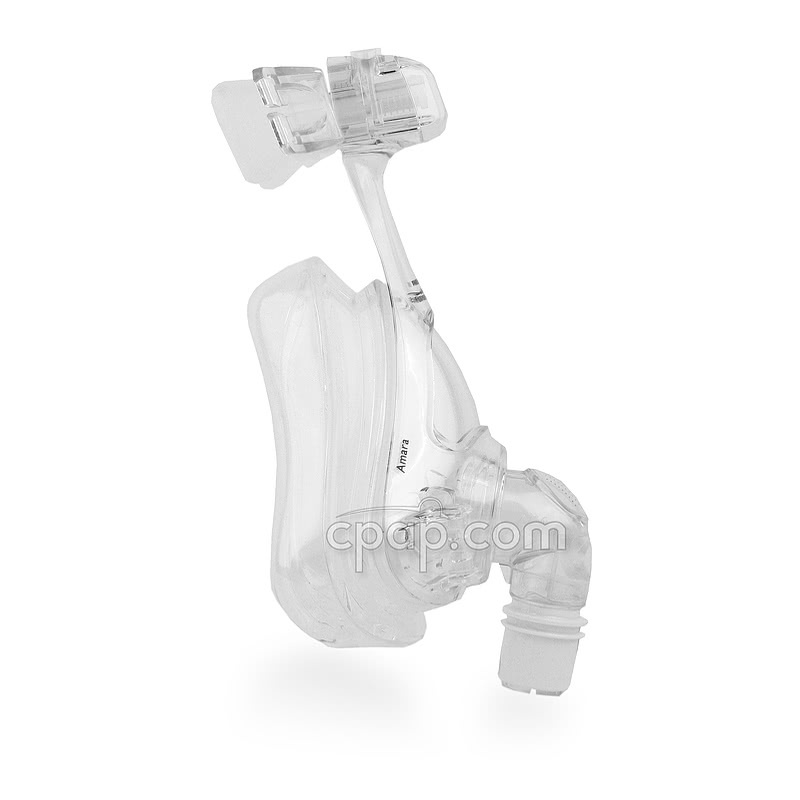 Respironics uses their proven micro exhalation ports for quiet operation. The angle of the ports diffuses the airflow to reduce the sound. 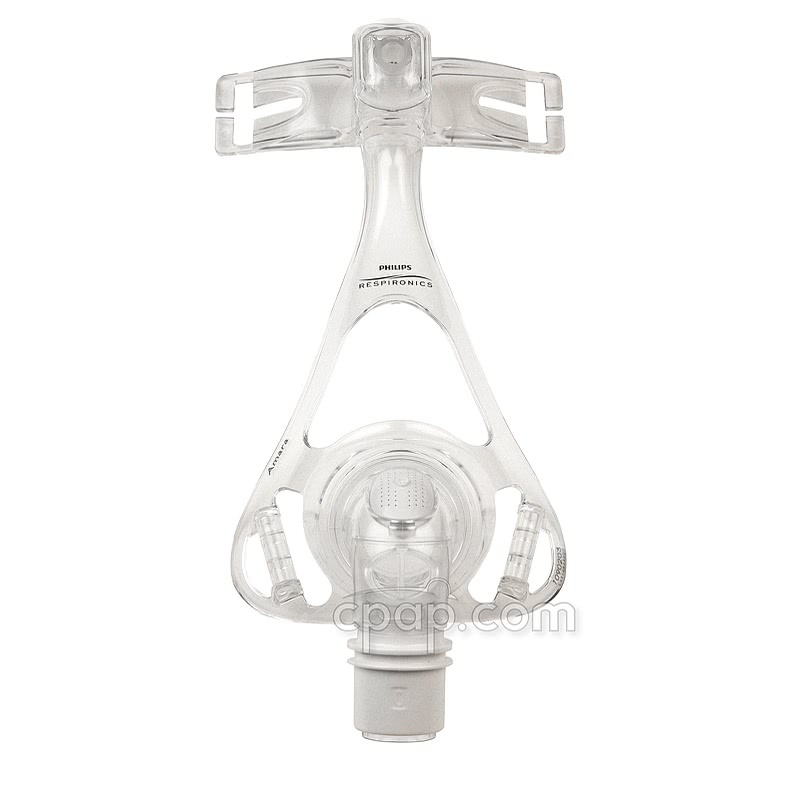 The position of the ports directs the airflow away from bed partners and the mask user. The Amara headgear has sturdy, inlaid tabs for durability and is designed to offer a stable fit throughout the night. The quick release talon headgear clips make putting the mask on and off smoother. The clips are made of a soft plastic to hold up to use and snap into place with one click. Twist the talon clip to remove it from the mask frame. Respironics designed the Amara to simplify changing out sizes to fit different size faces. There are 2 mask frame sizes: standard and reduced size 'RS.' Additionally, there are 2 headgear sizes - standard and reduced size 'RS.' The headgear is interchangeable between mask sizes. Both the regular and RS sized headgear will fit on any size Amara mask and frame. All size cushions fit on either the regular or RS frame. For easier maintenance and cleaning, the Amara cushion is permanently attached to an acrylic shell and the two cannot be separated. Where do I find the size of the Amara headgear? 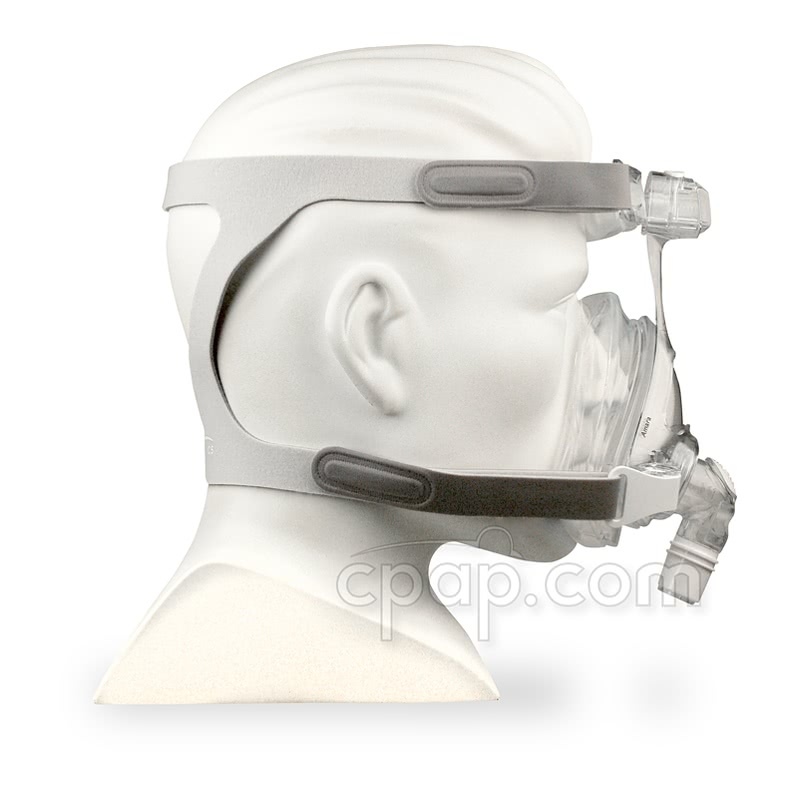 Hold the cushion of the mask toward the user with the headgear and mask assembled for regular use. Locate the right side of the headgear from this position. The letters "RS" are printed under the Velcro tab on the bottom headgear's strap if the headgear is the reduced size. No letters will be printed on any of the tabs if it is the standard size. Headgear & Forehead Support: the Amara is intended to be worn loosely. Adjust the headgear straps to allow two fingers of space between the strap and the face. With the machine turned on, pull the mask away from the face momentarily and re-seat on the face. Make any forehead pad adjustments to set the angle of the mask to fit the face. Lastly, make strap adjustments needed to eliminate leaks. Cushion Position: when fitting the Amara, to achieve the ideal cushion seal, place the uppermost peak of the cushion on the nose at the level of a line running just below the eyes. This is a bit lower of a seal point on the nose than some other full face masks. If a seal is not obtained with this positioning, a smaller size cushion or frame size. All Amara cushion sizes fit both the standard and the RS (reduced size) frame. High Pressures: if the Amara user experiences leaks at high pressures, this might be due to the mask being slightly too big. It is suggested to try a smaller cushion and/or the reduced size frame. The middle of 2013 Philips Respironics began the process of discontinuing the regular size frame. All mask sizes will be packaged with the RS or reduced size frames. While supplies last, the original frame masks will still be available. 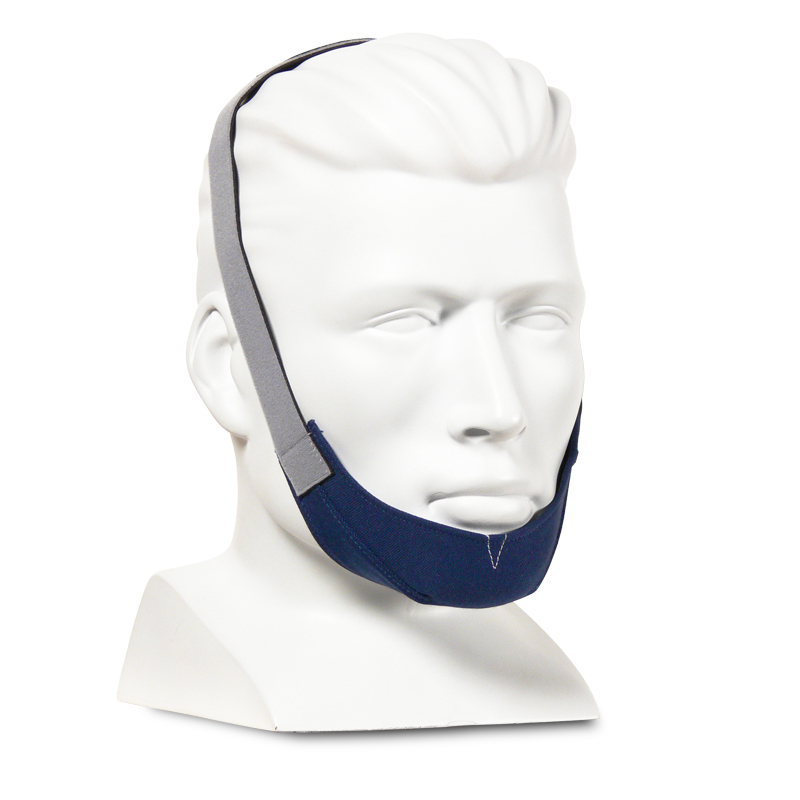 The Amara felt noticeably light on the face of our tester, and the smaller forehead support arm was appealing while making watching TV more comfortable. 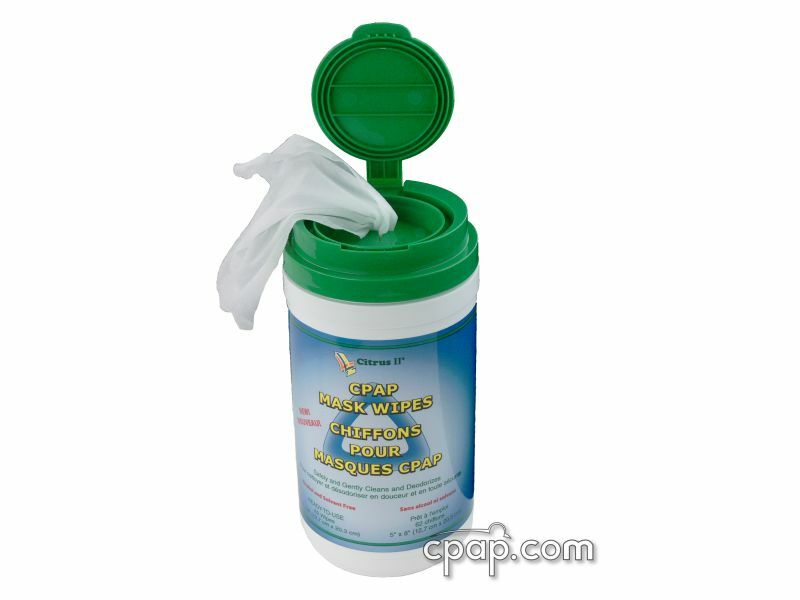 Cleaning was quick and easy with the one-snap cushion. He did find some adjustments to headgear were needed to address slight leaks around the eyes and at the chin. For our in house tester, he found placing the mask lower on the chin helped to reduce these leaks. I have a deviated septum, what mask should I choose? With a deviated septum, you likely breathe through your mouth. A mask that delivers air to the nasal passageway will not be as effective as one that delivers air to the mouth. A full face mask, hybrid mask, or an oral mask will serve you well. If you awake in the morning to find your mouth is dry, then you are most likely breathing through your mouth, and one of these masks will work for you. See our masks for Mouth Breathers. What masks are recommended for people with small faces? 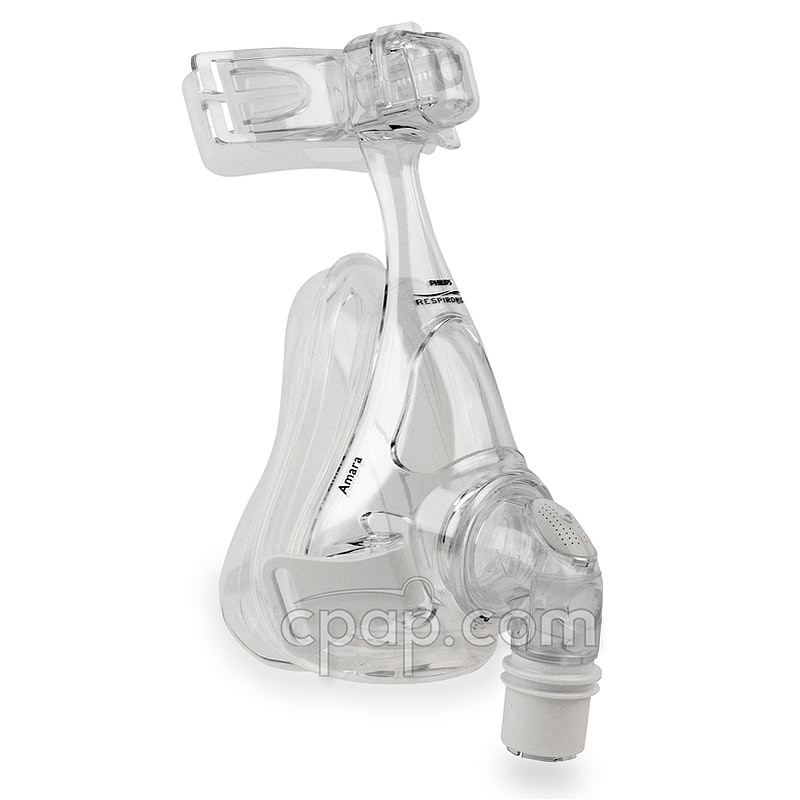 Nasal pillow and nasal prong masks seal only at the nostrils or nares. Therefore, only the size of the nostrils has to be considered when selecting a delivery system. Also, most nasal pillow masks include small, medium, and large nasal pillow cushions to offer the user multiple options. 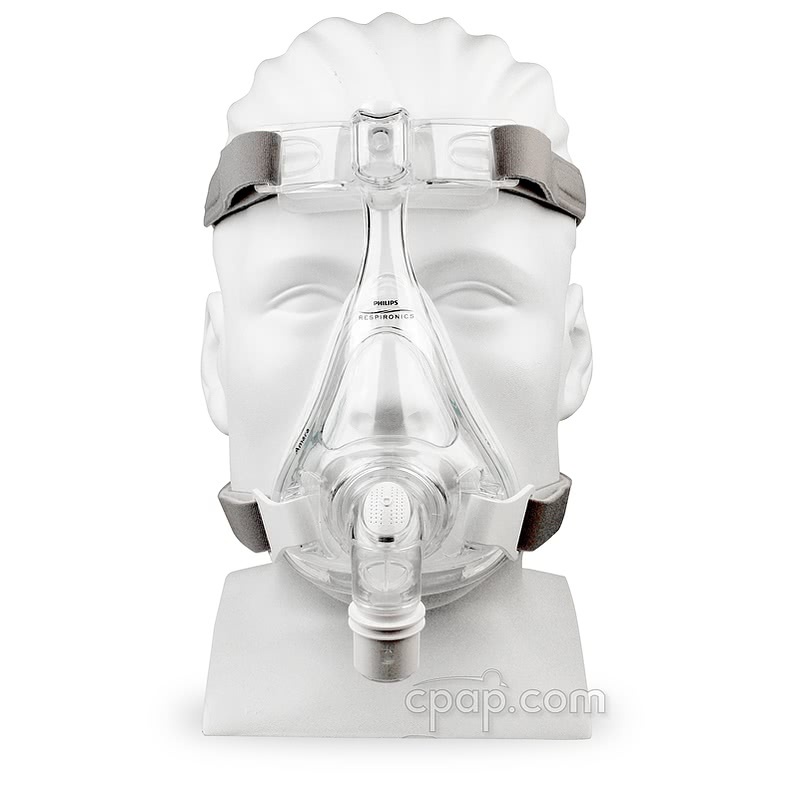 Some nasal and full face masks are offered in smaller sizes. We have created a selection filter so you can easily see the masks that we would recommend for people with small faces. View Masks for Small Faces. People tend to remove their masks during sleep because they are not getting enough air. 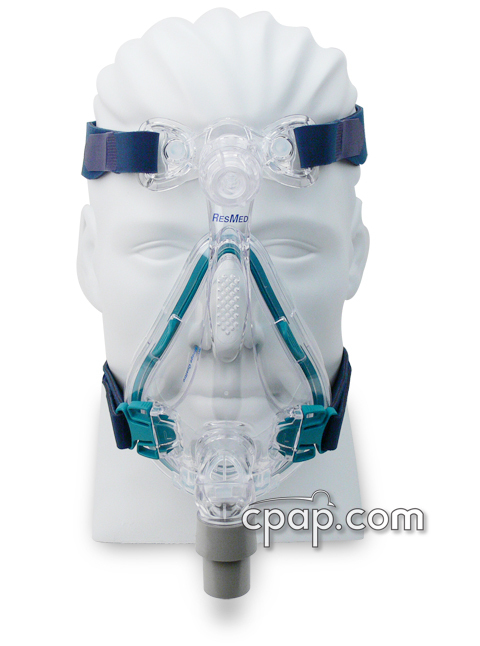 The CPAP pressure may be reduced if your mask is leaking. Your mask may be too big or too old. We would suggest you resize your mask to be sure you have the best fit. If your mask fits, but it is six to nine months old, it should be replaced. As the silicone in the mask cushion ages, it deteriorates and becomes too soft to hold a seal. For many masks, you can get a replacement cushion. See our Replacement Part Finder to see if your mask has a replaceable cushion. 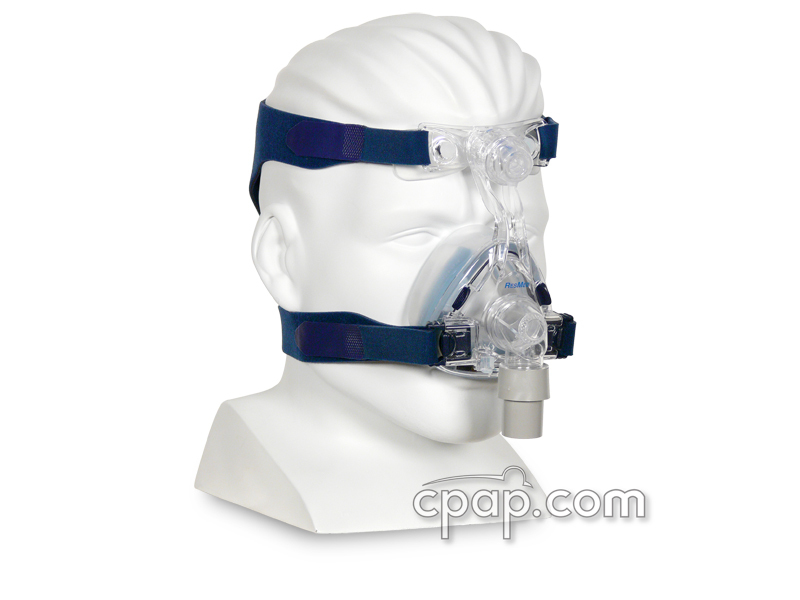 If the CPAP air is being delivered effectively and without leaks, it may be that the pressure is set too low. Pressure settings may require change due to weight gain or loss and aging. You should speak to your doctor if you think your pressure may need to be adjusted. 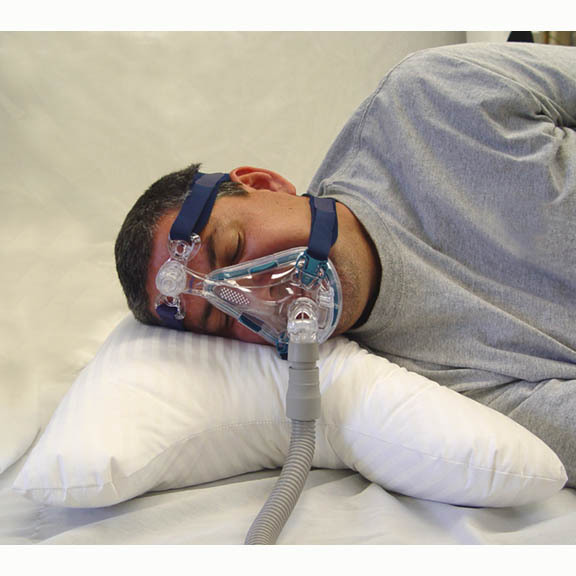 An auto-adjusting CPAP machine (APAP) may be another solution. An APAP machine will provide the minimum amount of pressure required to keep your airway open on a breath-by-breath basis. With an APAP you can be sure your machine is always providing the correct amount of pressure needed. Does this product contain BPA? 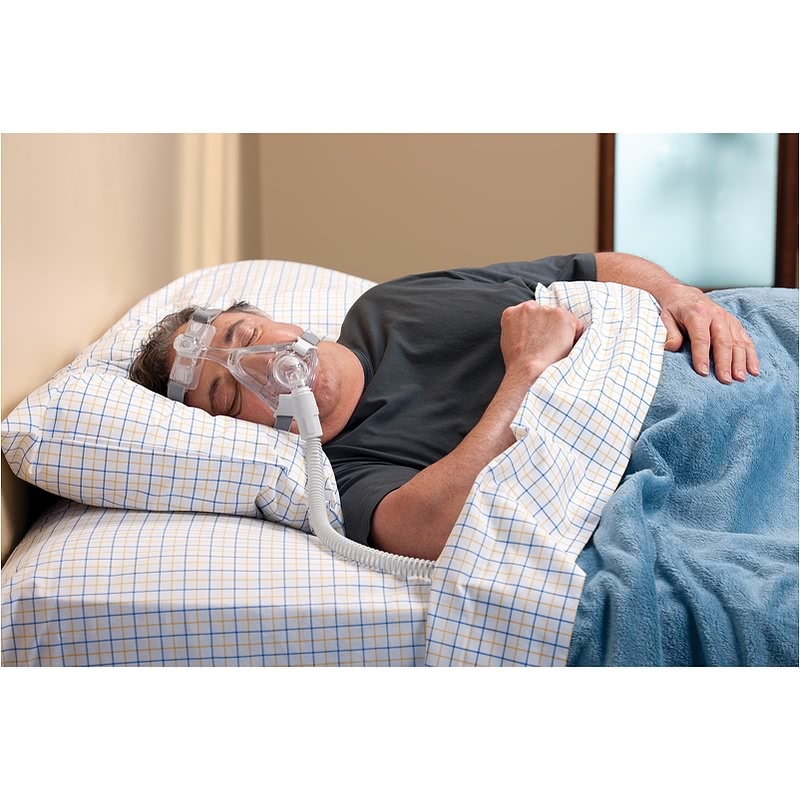 This document represents Respironics' position regarding the use of Bisphenol A in Respironics Sleep and Home Respiratory Devices. On April 18, 2008, the Government of Canada, banned the use of Bisphenol A (BPA) in polycarbonate baby bottles, claiming that the exposure to BPA on newborns and infants up to 18 months of age, could potentially present a health risk to this patient group when the polycarbonate baby bottles are exposed to high temperatures. At this time, we are able to provide the following information to our customer: NONE of our Sleep and Home Respiratory products which are either breathable or skin contacting are intended for use with newborns or infants under 18 months of age. Therefore, Respironics is in compliance with Health Canada's position for exposure for the identified at risk patient population. Although Health Canada's restriction for BPA does not include products used for ages above 18 months at this time, Respironics is evaluating its product portfolio and will take the appropriate actions to determine and mitigate any potential risk from use of its products or potential exposure to BPA. It should be noted that NOT all polycarbonate resins contain BPA. 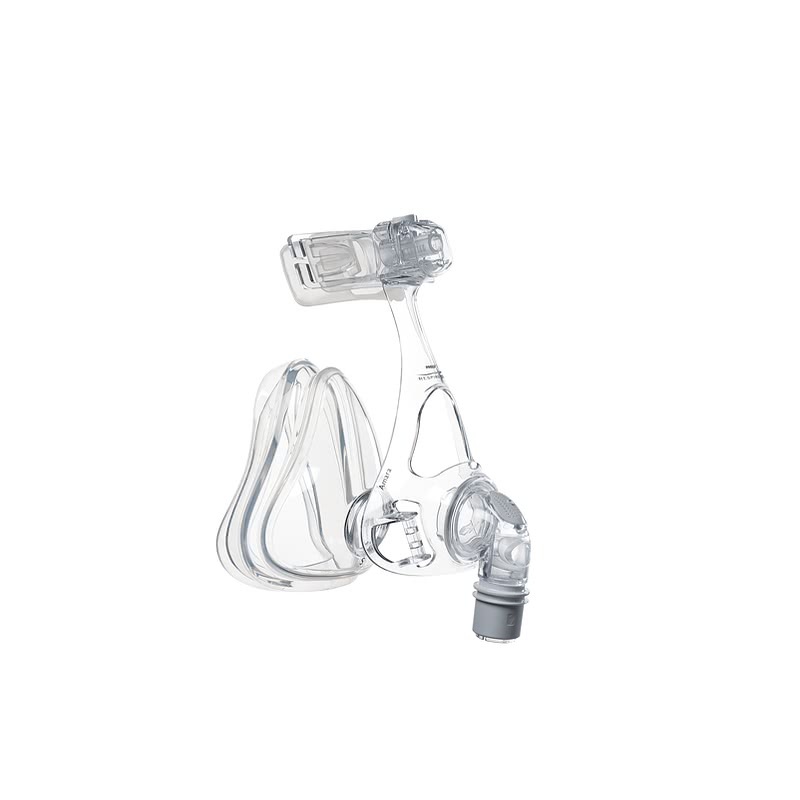 In response to the direction provided by Health Canada's device licensing division, Respironics will be evaluating all of our Class II and III medical devices to determine if the resins used in the manufacturer of its products contain BPA. 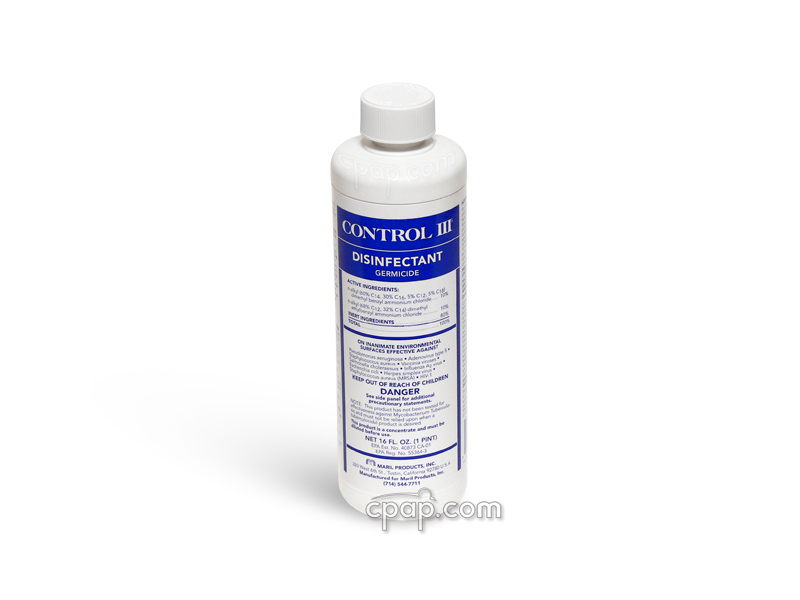 Further, none of our products or accessories using polycarbonate are labeled for exposure. In closing, it is Respironics position that our products do not pose any increased risk of exposure to BPA for our users and thus our products remain safe for use. If you have any further question regarding this topic, please feel free to contact me at zita.yurko@respironics.com or at 724-387-4120. Zita Yurko Director, Regulatory Affairs Sleep and Home Respiratory Division Respironics, Inc.
Why might I need a full face mask or hybrid mask? You have chronic sinus issues and it is not possible to breathe solely through your nose. You would like a full face mask to use when you are congested due to seasonal allergies or a cold. Your mouth drops open during sleep and using a chinstrap with a nasal, nasal pillow, or nasal prong mask did not meet your therapy needs. 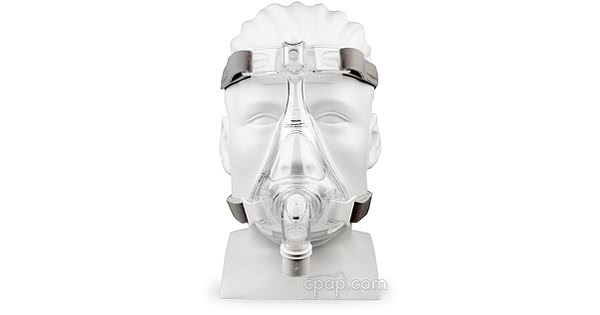 Hybrid Masks are another option for people who fall into the circumstances listed above. Hybrid masks deliver airflow to both the nose and mouth using nasal pillows and an oral cushion. How do I best fit my full face mask? With your mask attached to the long hose and the CPAP / BiPAP machine, begin by putting your mask on with the straps as loose as possible. Lie down on the bed and turn on the airflow. Starting with one of the forehead support connections, tighten each strap a small amount, moving around your face from one attachment to the next. Tighten the straps only as much as needed to hold the mask securely in place. This allows the cushion to maintain a seal during movement. There can be a tendency to over tighten a full face mask which causes one side or the other to lift off the face.